I have to say I am not disappointed, I did think this looked small online and in photos but it is much bigger than I imagined with plenty of room to swish your brushes without mixing the products. and a highlight shade (7. Highlight). All of the them are super creamy with great pay off. It's great to see a palette than contains everything you could need on the go and I haven't got anything quite like this in my collection. The bronzer and highlight are the same as the film star bronze and glow which I own but in the limited edition cream formula. It is hard to tell if the blushers are new for the palette or have previous been sold separately. 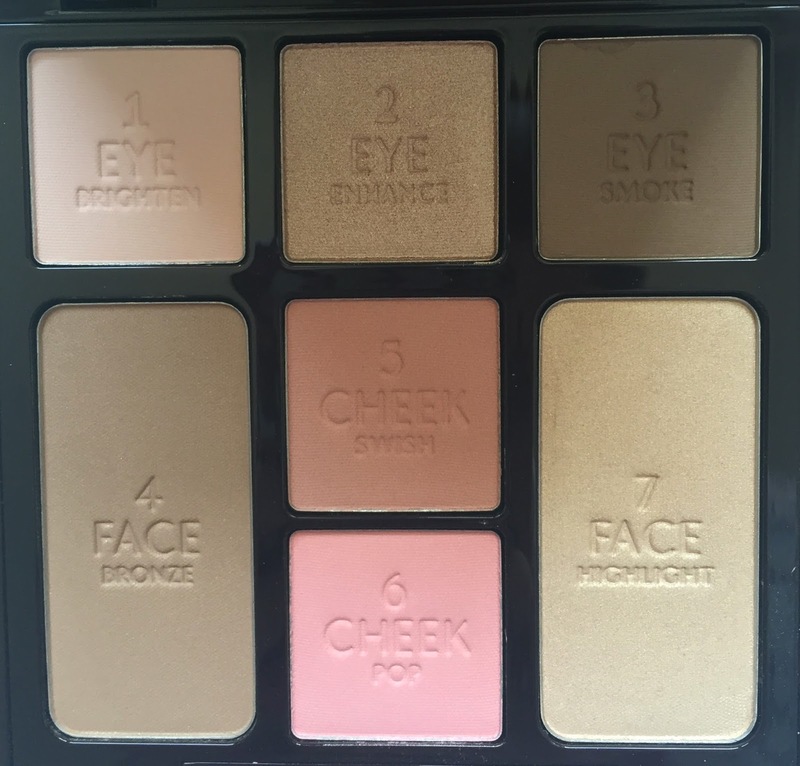 I think this palette would work very well for light skin tones like me, I'm not sure if it would work perfectly for everyone's skintone though, particularly those with darker skintones. 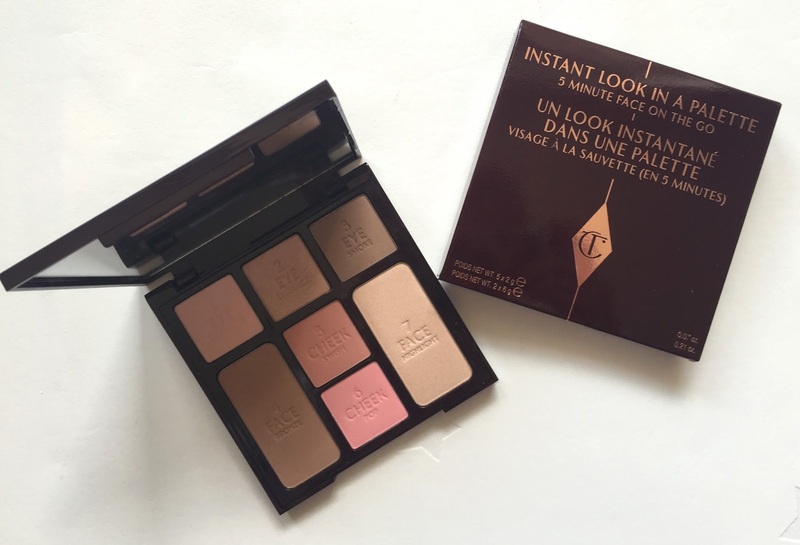 It is a great a palette, especially if you are looking to try Charlotte Tilbury products but do not want to buy separate eye shadow palettes, blushes, bronzers etc. I'm sure I will get a lot of wear out of this and as always the packaging is sleek and beautiful with a great mirror for on the go/ travelling.